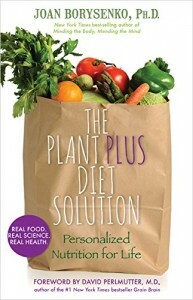 My new book, The PlantPlus Diet Solution: Personalized Nutrition for Life (Hay House, September 2014) is now available. I’m excited to share what I’ve learned and help people design the diet that works best for them. I’m just beginning to share this material in other formats. Read the synopsis below. For information, interviews and classes, please check this website and my Facebook page facebook.com/joanborysenkocommunity. Sign up for Joan’s e-newsletter and receive information about her new book as well as upcoming events and special offers. The PlantPus Diet Solution is a user-friendly synthesis of where nutrition is going in the 21st century. Here’s the problem: In 1960 the United States was 16th in life expectancy compared to 191 other countries worldwide. We’re now 51st in life expectancy, behind Bosnia and Herzegovina, barely nosing out Guam. American children born in 2014 are the first generation slated to live shorter lives than their parents- 69 years on average. At the other end of the spectrum, our elders are already losing their minds to an epidemic of Alzheimer’s disease. Furthermore, the cost of health care is bankrupting our country. Here’s the cause: Poor quality fats, too much carbohydrate (especially refined grains, sugar, and even whole grains), pesticide-ridden crops, and factory-farmed meat with a poor fat profile have unleashed an epidemic of chronic disease. Here’s the Solution: The healthiest diets, according to recent research, are predominantly plant-based. The basis of a good diet for every person is a whole foods, preferably organic diet of vegetables and protein, relatively low in carbohydrates. The Plus part of a PlantPlus diet are proteins that range from fish to meat, tofu to tempeh, and dairy. Plus foods are based both on personal choice and unique physiology. A Few Science Bites: As much as 90% of what’s called evidence-based medicine is based on faulty research. 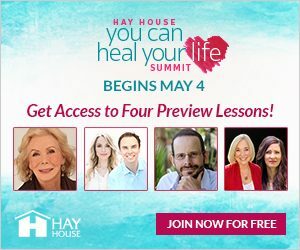 In a section featuring fascinating science bites the reader will learn how to vet a study, and how to avoid succumbing to nutritional and medical snake oil. Genetics. When our diet matches our genome we’re more likely to lose weight and improve our health. Understanding what genes can and can’t tell us in terms of diet is a fledgling new science called nutrigenomics. Microbial Buddies. Our 100 trillion friendly microbes outnumber our mammalian cells 10 to one. These microbes contain 99% of our genetic material and are the elephant in the room of health They determine in large part what we weigh, how our metabolism works, whether our gut will develop leaks predisposing to autoimmune disease and inflammation, and even whether we’re prone to depression. What we eat determines what kind of bugs we live with and which of their genes are expressed. Epigenetics. Since our mammalian genetic code changes slowly, but our environment changes fast, factors like the food we eat and how its sourced (whether it’s sprayed with pesticides or comes from factory-farmed animals) determine how our genes express themselves. Who am I? : My interest in nutrition is both personal and professional. When a high carb, low fat diet with a reputation for reversing heart disease led to health problems for my husband and I, I began to research the literature. I’m not a physician, dietician or chef. I do have a doctorate in cell biology from Harvard Medical School, and founded one of the country’s first mind-body clinics at a Harvard teaching hospital. That program became the foundation of my 1987 New York Times best-selling book Minding the Body, Mending the Mind (nearly half a million copies sold). I’m also a licensed psychologist and the author or co-author of 15 other books. My passion is giving people the information they need to make informed choices about what to eat. I do this in Part One of the book: What you Need to Know. The information is clear, concise, and fun- tasty little Science Bites. Part One concludes with a chapter that sets the reader up to start Phase 1 of theirPlantPlus Diet experiment by understanding how much and what kind of carbs to eat. Their weight, medical conditions, a simple self-test of health and mood, and a list of medical tests form the basis for their experiment in diet personalization. Part Two of the book, What You Need to Do, is the lifestyle section. This is were my expertise as a psychologist comes in. 95% of people who lose weight gain in back within a year. I hope to coach people into a real, lasting lifestyle change instead. In this section the two phases of the PlantPlus Dietare laid out. Phase 1 is followed by everyone for four weeks. It’s a whole-foods, plant-based, grain-free diet enriched with good fats and with whatever organically grown, humanely raised Plus foods they choose, including fish, meat, and dairy. I identify 20 Superfoods that feed the person as well as their gut microbes, some of which have the ability to change metabolism. And hopefully I provide plenty of information about eating mindfully that will lead to success. The recipes are decadently good, healthful, and very simple to make. Most have just 5-6 ingredients. And there are a lot of grain-free desserts. Phase 2 of the PlantPlus Diet is personalized on the results of the reader’s self-tests, weight, and the common blood tests specified. Lastly, this is more than a book about health and weight. It’s a book about respect for the planet, the animals who sustain us if we’re among the 96% of Americans who eat dairy, eggs, meat, or fish, the integrity of our environment, and the health and wellbeing of our children and our children’s children.